Researchers at Boston University argue that the hits suffered in football, not concussions, are what lead to CTE. Atlanta Falcons linebacker Tommy Nobis seemed to transition easily into his post-playing career, landing a job as the manager of the team's training camp hotel and rising through the franchise's front office to vice president. For three more decades, the man who came to be known as "Mr. Falcon" never left football. "Growing up, I remember my mom having to call his secretary when he was going out to training camp to let them know what kind of mood he was in. And then vice versa," his daughter, Devon Jackoniski, said in a recent interview with The Associated Press. "We were pretty uneasy growing up," she said. "Although my dad had just some beautiful moments of being a wonderful man, emotionally he was so unstable it was just hard to get close to him." Researchers have confirmed what Nobis' family long suspected: He had the most severe form of chronic traumatic encephalopathy, the degenerative brain disease linked to repetitive blows to the head that can cause the kind of violent moods they had grown accustomed to. 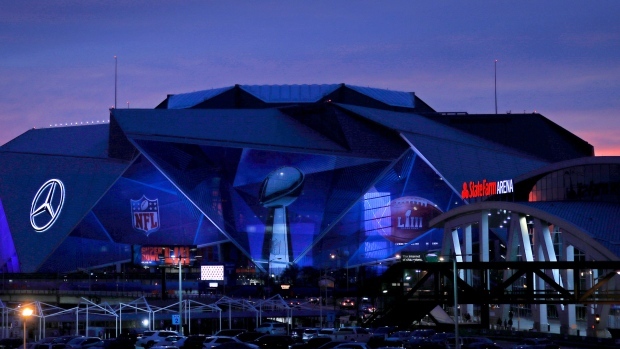 And now, as the NFL world descends upon Atlanta for Sunday's Super Bowl, it serves as a somber reminder of the impact that football can have on its players and those who love them. "That truly was my dad's first love," Jackoniski said. "He wasn't born with a lot of money. They were from a blue-collar area. It gave my dad a lot of opportunities, so it's kind of a bittersweet thing. "He told me before he became very ill he would never turn his back on football or do anything different. But he would educate kids a little different in the game," Jackoniski said. "There's something very wrong with slamming your head against a brick wall over and over and over again." A two-way star at Texas whose No. 60 was retired by both the Falcons and the Longhorns, Nobis won the Maxwell Award as the best all-around player in college football and finished seventh in the 1965 Heisman Trophy voting, just ahead of Bob Griese and Steve Spurrier. In the Orange Bowl against Joe Namath and top-ranked Alabama, Nobis led a goal-line stand to preserve the Longhorns' victory. He was the No. 1 overall pick in the 1966 NFL draft — the first ever selection by the brand-new Atlanta Falcons. The rookie of the year. Five Pro Bowl selections. But he never made the playoffs, with the upstart franchise posting only two winning records in his 11 seasons. 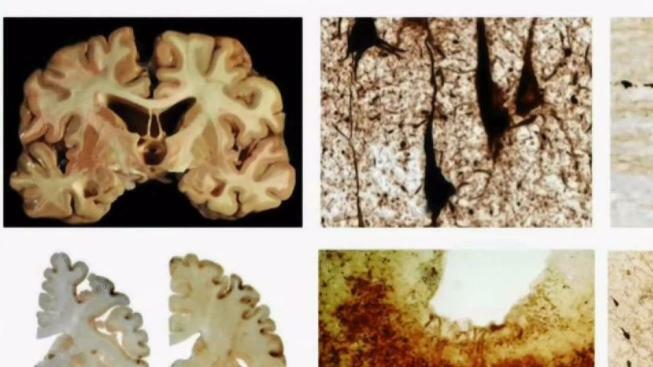 Dr. Ann McKee, the director of Boston University's CTE center, said Monday that Nobis had the most severe form of the disease, showing a "severe loss of neurons and large CTE lesions throughout the cerebral cortex." His family was not surprised. "We knew there was going to be something wrong on his pathology report," said Jackoniski, who is a physician assistant. "But it was shocking how a human being could still be alive with that little functioning brain." "It doesn't matter the time of year, my dad could always find a football game on," Jackoniski said. "That was basically our lives. When he retired, his only career was with the Falcons. We would go to all the Falcons games, whether we wanted to or not. That was who we were." She remembered her father, who died in 2017 at the age of 74, as a humble man who was not very social, and yet was a great public speaker. A prankster. Big Red. Huckleberry Finn with Muscles. "That can be awkward for a lot of people, but it wasn't to him. He could relate to a kid but not an adult," she said. "When we were growing up, people would always come up to us and say, 'Your dad is a saint.' We would just sit there smiling, knowing that when we got home, the tide was going to turn." With his family, Jackoniski said, Nobis was a disciplinarian. Aggressive. Intense. "We always said we had to walk around eggshells with my dad," Jackoniski said. When her older brother, Tommy, decided he didn't want to play football anymore, her father snapped. The incident drove a wedge between them and kept Nobis from seeing any of his grandchildren for many of his later years. "He just became unhinged," Jackoniski said. "We just thought that's who my dad was." Nine years ago, Nobis was supposed to give the eulogy at his father-in-law's funeral. "My dad, who was the public speaker," Jackoniski said. "It was totally garbled." "He was this caged animal that was just unleashed," she said. "At that point we knew there was something wrong. Once he took it out to the public, we knew there was something horribly wrong with him." The family tried to avoid triggers like noise or chaos, but Nobis would become increasingly rattled in public. There were restaurants he couldn't return to because of his outbursts; he got out of a car at a bank drive-thru to yell at the teller for taking too long with the customer in front of him. "It became embarrassing," Jackoniski said. "But it was scary, too. Toward the end my brother removed all the guns from his house, thankfully. I don't know if he ever threatened to use a gun, but my brother had enough insight to do that." CTE, which can be diagnosed only after death, has been found in more than 100 former NFL players, and in dozens more athletes and members of the military who have been exposed to repetitive head trauma. The disease can lead to memory loss, depression and even suicide. "When you see some of these guys going in for these tackles, I wish they would allow these guys to come into these houses where these CTE victims are living and see them living their lives, day to day," Jackoniski said. "Do they really want their lives to be that way? Not only is it going to affect their lives, but it rips families apart, and it rips friends apart, and it is so destructive." Although her children don't play football, Jackoniski said they remain Falcons and Longhorns fans and are proud of the man who they were once kept away from for their own safety. And though connecting his behavior to CTE has helped the family understand Nobis' struggle, it also made Jackoniski realize that she never knew what her father was actually like. "I don't know that I ever saw my dad without showing signs of CTE, my entire life," she said. "In hindsight, I think that was the saddest part of the news. His children never even knew who he was. My mom even may have not known." Jackoniski said she doesn't watch a lot of football any more, but she will watch the Super Bowl "just because I know it will be on in our house." In an email follow-up to the telephone interview, she said she struggled to comprehend what the sport has meant to her family. "Football was my father's life, the air he breathed and therefore the air we breathed," she wrote. "It brought discipline and recklessness, self-worth and depression, strength and weakness, determination and fear, teamwork and destruction of relationships, competition and dissension, friendships and loneliness, strategy and brutal honesty, entertainment and subsistence. "In the end," she said, "it brought humility in every sense of the word."